Through our partnership with MexiPass Insurance, we are able to offer personal Mexican insurance products for cars, boats, homes, renters, and motorcycle & atv for those who need insurance coverage while in Mexico. Buy the best Mexican auto insurance at great rates! You can get a Mexican car insurance quote in 30 seconds and a policy in less than 5 minutes. We can cover you for a day, a week, or as long as you like! Travel back and forth to Mexico frequently? Avoid the inconvenience of purchasing a Mexican auto insurance policy every time you travel and buy a policy that is good for a full 12 months. Or call Mid-Columbia Insurance at (509) 783-5600 to get a quote on Mexican Car Insurance, Mexican Home & Renters Insurance, and even Mexican Boat and Motorcycle Insurance. MexiPass is Mexican Insurance… The American Way! MexiPass revolutionized the way that Americans buy insurance for Mexico and the quality of coverage that they receive. Before MexiPass, Mexican insurance was only available through a few suppliers at the border or in Mexico who sold policies that were not suited specifically to the needs of Americans. Americans had to buy their policies at the last minute and had no way of knowing what kind of coverage they were paying for. MexiPass was created to handle the Mexican insurance needs with insurance policies that are specifically developed to meet American insurance standards. Buy the best Mexican auto insurance at great rates! We believe that travelers in Mexico shouldn’t have to lower their standards for insurance coverage. The MexiPass STAMP® Mexican car insurance policies offer the same US standards of coverage as American car insurance… but in Mexico! All backed by CHUBB Seguros Mexico, one of the largest international insurers in the world! The STAMP® program does not offer uninsured motorist coverage or include the deluxe Travel Package benefits that the MAS-Plus® program does. See below for more information about the deluxe MAS-Plus® program if you are interested in these options. MexiPass goes to great lengths to ensure their products are easy to use and understand. As such, the STAMP® Mexican car insurance product features simplified online rating without the need to list drivers in the policy application – making it quick and easy to quote and start a policy online. Policy documents are provided in both English and Spanish and feature US claims adjusters with the option to repair damaged vehicles in the US or Mexico. The Mexipass STAMP® Mexican car insurance policy offers superior coverage for travelers and their vehicles when driving in Mexico; all with the expertise of MexiPass and the financial backing of the largest and most trusted insurers in the world! 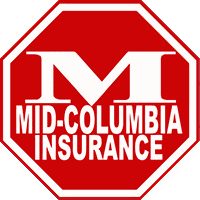 Or call Mid-Columbia Insurance at (509) 783-5600. MexiPass does not rest until they are certain that they are providing the best possible Mexican car insurance policies. The MAS-Plus® program was developed to provide the best Mexican car insurance product available for foreigners traveling in Mexico. MAS-Plus® is underwritten by AIG Seguros Mexico and CHUBB Seguros Mexico and provides the most coverage of any Mexican car insurance product – all with the experience and expertise of MexiPass! Like all MexiPass products, MAS-Plus® is simple and clear.Their Mexican auto insurance policies are written in both English and Spanish so there is no confusion about what coverage you are purchasing. The MAS-Plus® program has two parts. “MAS” meaning MORE because the policy provides the most complete coverage of any Mexican car insurance policy. “Plus” is the Travel Package that comes included FREE. The MAS-Plus® Mexican car insurance policy looks and reads like an American policy. It has all the same parts as you would expect in a US car insurance policy… but in Mexico! Traditional Mexican insurance policies simply don’t go to the same lengths and provide the same coverage as MexiPass. Don’t sacrifice coverage while traveling in Mexico! The Travel Package is the MexiPass difference and makes the MAS-Plus® Mexican car insurance policy the BEST Mexican car insurance policy on the market. Going to Mexico for a weekend? Short-term policies are available for one-day or for longer so you can drive confidently. Travel frequently? Take advantage of our annual policies to save money and to dodge the hassle of constantly buying policies each time you travel to Mexico. All of these advantages are available through our online portal. You can get a quote in 30 seconds or buy a policy in less than 5 minutes – it couldn’t be easier! Foreigners who live in Mexico most likely will be disappointed with the traditional Mexican home and renters insurance policies available to protect their property and belongings. Many traditional Mexican home insurance policies don’t provide coverage that suits the needs of foreigners. The structure of traditional Mexican home insurance policies is different from typical American policies and often contain odd exclusions that limit coverage when it is most important. Worse yet, policy terms may not be offered in English and coverage limits are in Mexican Pesos instead of US Dollars. As such, foreigners are stuck with policies that are unfamiliar, difficult to understand, and may not provide adequate coverage. MexiPass understands the issues with the Mexican home insurance market and knows that foreigners need a suitable option to fit their unique needs. MexiPass specializes in providing superior Mexican home insurance policies that are specifically tailored to fit the needs of foreigners with homes, condos, or who rent in Mexico. MexiPass Mexican home insurance policies uphold the same standards as American policies and contain all the same coverage parts as the policy you carry at home. Policy terms are provided in both English and Spanish and read just like US home insurance policies (US-HO4/5/6). MexiPass strives to ensure their policies provide the best coverage, most helpful benefits, and convenient ease-of-use. MexiPass policies also come with unique benefits, such as a Home Services package that is included with every Mexican home insurance policy. Don’t stress out when you need a plumber, locksmith, or other service technicians – the policy can pay for these services if the need arises. What are you waiting for? If you own a home or condo call us about our MexiHome® Plus and MexiCondo® Plus policies. Rent in Mexico? No problem, our MexiRenters® policy is the best Mexican renters insurance on the market. Own a home valued over $1 million USD or a condo valued over $500k USD? Ask us about the MexiJumbo® Home and MexiJumbo® Condo policies. Driving an ATV, RV, motorcycle, or rental car in Mexico? No problem! The STAMP® program (see above) offers Mexican insurance options for these vehicles as well. Contact us for information about Mexican insurance coverage for US rental cars and other Mexican vehicle insurance needs. Don’t sail in Mexico without the proper coverage! If you are a foreigner sailing your boat or yacht to Mexico, Mexican boat insurance is a must. However, traditional Mexican boat insurance policies may not provide the standards of coverages available in the United States. Many traditional Mexican boat insurance policies are structured differently from American policies and contain coverage parts that foreigners aren’t familiar with. Furthermore, some contain odd exclusions that may leave boaters unprotected when they need coverage most. Worse yet, policy terms may not be available in English so it can be impossible to actually know what coverage you are purchasing. MexiPass understands the frustration of boaters looking for coverage in Mexico. As such, they have worked diligently to create a Mexican boat insurance policy that fit the needs of foreigners sailing in Mexico. MexiPass is Mexican Insurance… The American Way! MexiPass offers Mexican boat insurance policies that adhere to American standards. Our policies look and read like American policies and provide the same coverage parts as you would expect in US policies. This includes options to select liability, hull damage, uninsured boaters, and other coverage parts common in US policies. Moreover, policy terms are offered in both English and Spanish so there is no confusion about exactly what coverage you are purchasing. Mexipass Mexican watercraft insurance covers everything from yachts and sailboats to jet-skis and Sea-Doos. Policy length is flexible, so it’s simple to buy a policy for a weekend getaway or for a boat you regularly dock at a Mexican marina. Every sailor in Mexico is important to us, so we’re sure we can provide coverage for your specific needs. As a Mexipass Insurance agent, Mid-Columbia Insurance offers Mexican insurance coverage to all Washington residents. We have offices in Kennewick, Pasco, and Yakima. Call (509) 783-5600 to get a quote on Mexican Car Insurance, Mexican Home Insurance, or other Mexipass Insurance Products.